Post Abortion Support is for the mother, the father, the grandparents, the siblings. Even if the abortion is surrounded by secrecy the whole family is affected. A little life has ended, and no matter how we tell ourselves it is for the best, no matter how we hide the truth there are consequences. From 1967 to 2014 over 8,000,000 abortions have been performed; that is approximately one woman in three, women who are now in their early teens to women in their 70's and 80's. This means that nearly everyone in Britain knows someone affected by abortion, a mother, a father, a family member or a close friend. Eight million parents have experienced the trauma of abortion. Many of these men and women suffer terribly as a result. Frequently the suffering is experienced in silence and isolation. Below, you have some scenarios - Overviews of how abortion can affect parents of school children. You may feel, that one is similar to the situation that you are/were in. Please have a read of them and pray the prayer response, if you feel it is for you. Parents of school children are routinely not told if it becomes known that the girl is pregnant; an abortion is arranged and the bemused and often frantic parents are left to care for a daughter whose behaviour and character seems to have changed over night. Both paternal and maternal grandparents are deprived of a family member – their grandchild, and have to support and care for a son or daughter who has been traumatised. Sadly there are too many instances where their daughter or son feels they cannot continue and there is a double bereavement in the family. I am so shocked at what happened to my darling daughter. She was so young. I don't know how to help her, in fact I'm so upset and angry I think I need help myself! How can such a thing happen without anyone telling us? How can I put her needs first and help her when I'm falling apart myself? Oh God give me strength! I come to You, to the cross of Jesus, you know how terrible life can be. I'm trusting in You, if you really came back to life and can hear me, Help me Jesus! We wanted to protect our daughter. Grandparents, out of a misguided desire to protect and care for a daughter, may be so sure that abortion is the most humane way to resolve the problem (especially when the father is not what they would want for their daughter)) that they cannot even hear her concerns and arrange everything, over-riding her protests. It is only perhaps years later as they see the damage done to her emotions and the struggles she goes through that they have to recognise that they were wrong. Many accounts speak of the way that parents can dominate their children and insist on abortion. Some live to regret it, seeing in hindsight that the damage done to their daughter is so much worse than the unplanned pregnancy they wanted to avert. I was so sure that I was right. I only acted out of concern for her, I was trying to protect her. It's terrible to recognise that she was harmed because of me, that she suffered so much and I didn't listen to her, I was controlling and proud. It has cost me so much. I never acknowledged my grandchild, the relationship with my daughter has never been the same. I always prided myself on being a good parent to my children, I can hardly admit that my actions have caused such deep wounding and death. Forgive me. Help my daughter. My grandchild – oh Jesus, have mercy on us. Maternal and paternal grandparents please read. A. Sometimes there is a great resentment against the mother, the paternity of the baby is called into question, the girl isn't good enough for their son and abortion is put forward as the best thing. Hearts are hardened and pressure is brought to bear, the father is told to be sensible and realize that he would have to pay support, he'll never be free of the girl etc. B. Sometimes the father of the baby is fully supported by his parents who may even go as far as to offer to bring the baby up as their own. The sorrow when this help is refused and the mother goes ahead and aborts the baby can cause anger, heartbreak and hatred. 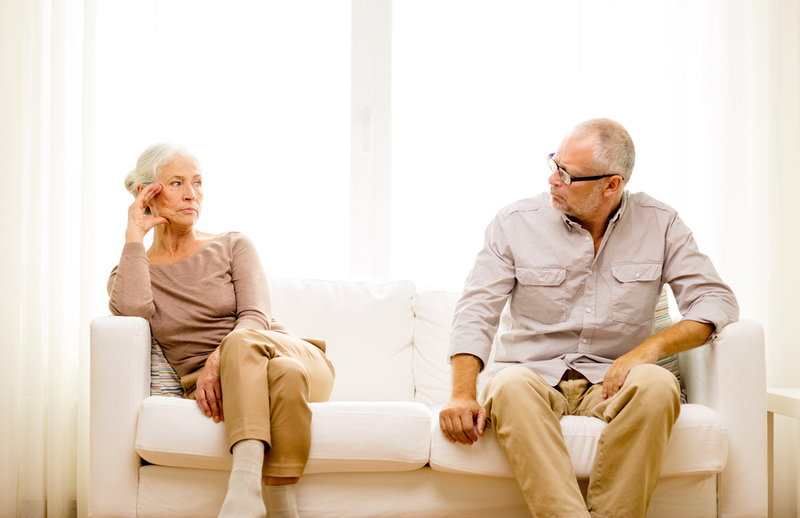 If the relationship between the son and his girlfriend continues the tensions can cause deep divisions in the family. 1. It might be that there is a history of abortion in the family and that can mean there is a lot of pressure on the girl to abort her baby. That is the way this problem has always been sorted. Girls who come under this level of pressure need lot of support to resist; if they give in to the family pressure they often have difficulties after abortion. 2. It might be the father of the baby who is putting pressure on the girl to abort, and the parents might not know anything about it until afterwards. If the mother is afraid of her parents anger, or ashamed to confide in them they may never know. The abortion will, however, affect the relationships in the family even if it is secret.